In our continuing series – we’re taking a look at everything you need to know to sail the waters of the Virgin Islands. Our own Kellie Meyer is taking on the challenge and bringing our cameras along for the ride. 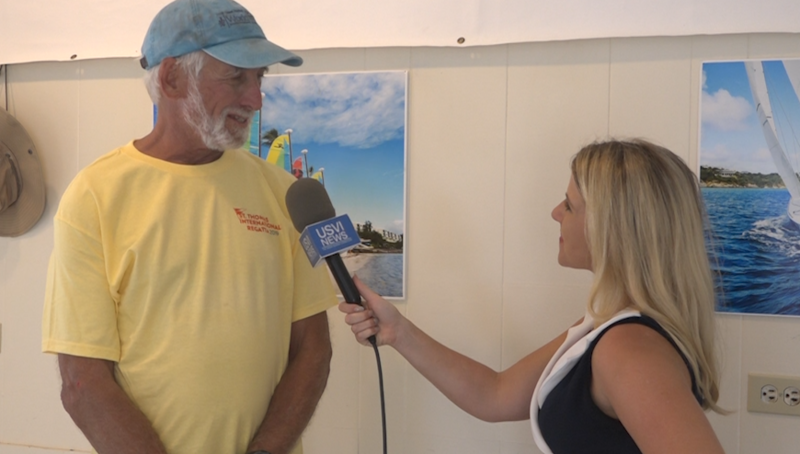 In Part Two, she talks with the St. Thomas Sailing Center creator and hears why VI sailing is the best in the world. DAVE FRANZEL: “Well it is funny but I had started the Boston Sailing Center a long time ago and ran it for 30 years and built it to be a big successful adult sailing program, school and club. Then I sold it and I was down here and I had been coaching for 10 years or so since I sold it and I was down here coaching and I got into a conversation with the local members of the yacht club especially the ones that like to race and believe that sailing is the mission of the Yacht Club and one thing led to another and they told me that well the racing program was diminished and the membership was decreasing and I mentioned a few things that we did at the Boston Sailing Center to keep the interest and bring new people in and one thing led to another and they made me an offer I couldn’t refuse to start a new sailing center here. So that is kind of how it came about. And I used the Boston Sailing Center success as a model for how to structure this one and then there necessarily have been some modifications because population density here is a little less than the Boston Metropolitan area and we get a lot of visitors. A lot of potential for people to want to come here in the winter because it is so beautiful here! It is unbelievable. The wind is great all the time, the water is blue and beautiful and warm. And I sailed in a lot of places and this is probably the best sailing venue I’ve ever sailed in.